Silman: Our society is judged and also strengthened by how we care for its weaker elements. That is my first priority. Helping the needy, chessed, is a Torah value, we don't need the left to teach us its faux definition of social justice. With elections only two days away, Arutz Sheva English site decided to get to know the woman in the fifth spot on the United Right Knesset list on her own, and arranged that. Despite her being busy with Shabbat preparations, our conversation turned into an interview which I am sharing with Anglo readers who may know less about her than about Orit Strook - running in the sixth spot- the Hevron resident who served in the Knesset 2913-2015 and is famous for her Human Rights Organization protecting Jews in Judea and Samaria. It is well known that the two women work together in harmony, that their religious Zionist beliefs and values are the same, while their areas of expertise differ so that they complement one another- at least, so it seemed to me. My hunch turned out to be correct. Religious Zionism is defined by its belief that along with deep commitment to Torah and learning, there is the Torah of Eretz Yisrael which includes involvement in all the aspects of the country Jews returned to after 2000 years – from IDF service to building communities, from responsibility for education and welfare to ecologic concerns. I also wanted to see how Idit Silman intends to contribute to that ethos. Within two minutes, it was obvious that Silman is a highly articulate woman who expresses herself intelligently and concisely - and I must add, convincingly. Do not confuse that charming smile with being a pushover. This impressive woman, whose English is fine although clearly not her mother tongue, made me realize, as someone who still prefers to read and speak English after decades in Israel, although I speak really good Hebrew (with an awful grating accent that makes Israelis cringe), how important it is to speak flowing and fluent Hebrew in the Knesset and be able to get one's point across without searching for words. She also made me realize that being a good MK is less about writing and talking, important as they are, and much more about accomplishments and experience in how the world works, in dealing with situations where people have different opinions, so that the job can get done. Idit came across as a combination of all those qualities, a woman who has proven her ability and acumen in the real world without a radical feminist chip on her shoulder. 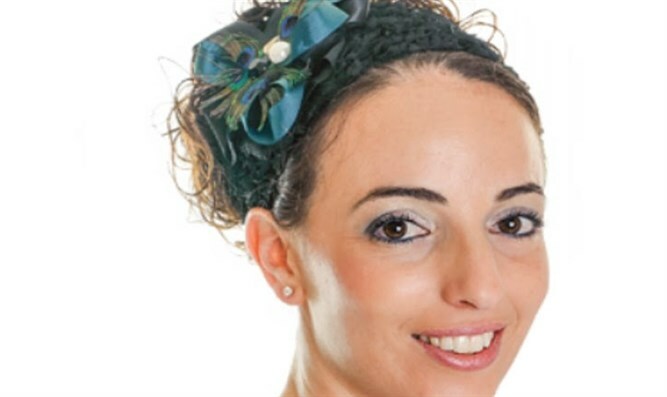 Idit Silman is 38 years old, a resident of Rechovot married to a marketing executive in Mercantile Bank and proud mother of 3 children the eldest of whom is 13 years old. 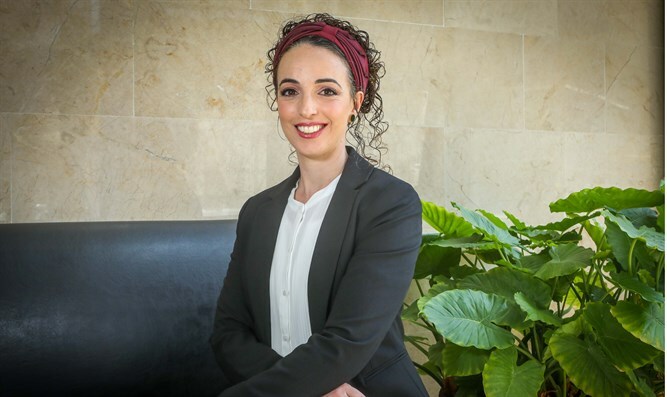 She rose rapidly in the ranks to becoming top marketing manager at Clalit Health Services, the largest in Israel, which runs over 1300 primary care clinics, pharmacies and dental clinics all over the country, operates 14 hospitals including rehab facilities. 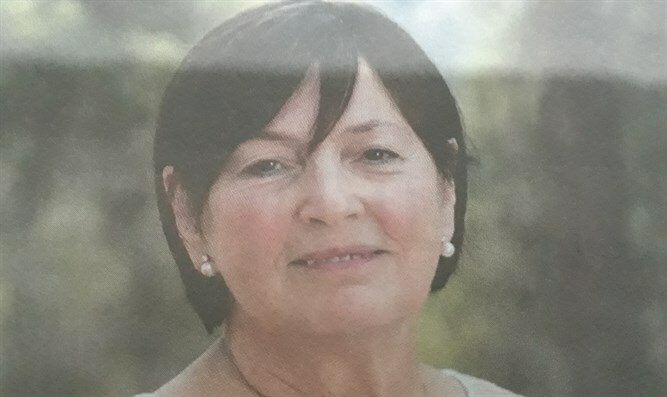 She was also chairman of The Jewish Home Party's Women’s Forum and founder of Misdar Hadar, an organization committed to bringing IDF heroes Hadar Goldin and Oron Shaul back home. How does your career background affect your plans for serving in the Knesset? Silman: I come from the health sector where I held a top managerial position. I was in charge of all the marketing for Israel's largest health service organization, Clalit and therefore am familiar with Israel's healthcare from the inside and want to improve that crucial area of service to citizens. Israel can be proud of its health services, but I want to see the connection between government and health service become less bureaucratic, more streamlined and efficient, more attuned to the various needs of those who are ill and those who need rehabilitation, especially in outlying areas – what we call the "periphery" in Israel. We need to allocate funding to train more doctors, we need more investment in specific hospital departments and more beds. Our society is judged and also strengthened by how we care for its weaker elements. That is my first priority. Do you have experience in other areas besides health care? Idit: What is known as Israel' s third sector is the field of welfare.NGOs, NPOs and volunteer organizations of different types aimed at helping those in need..
We have to think of how this country will look the day after the elections. My husband and I established a professional forum called "Mentors" in which, with our marketing skills, we helped volunteer organizations learn to raise funds, deal with human resources, build and run marketing campaigns - all this free of charge. Much of Israel's aid to the needy – poor, elderly, widowed, handicapped, and special children, etc is through the work of these organizations. There are 500,000 workers in NGOs in Israel and the number grows every year. Over 35% of Israelis volunteer in at least one of them. The Knesset does not have any MK who has taken this subject under his wing. I would like to form and possibly head a Knesset caucus for NPOs to have their voice heard in the Knesset..
To me , as someone who headed Emunah in the past and knew the Religious Zionist women who served as MKs in the early days of the state, the late Tova Sanhedrai and Sarah Stern Katan who fought for welfare, family and education, it is wonderful to hear you speaking in modern, professional and careerist terms – about marketing skills and NGOs for example – but using them to help people. From what you say, although I am sure you will also advance other issues, chessed is going to be your priority as it was for those Religious Zionist women MKs and as it was for Jewish women through the ages. Our youth groups, national service, nuclear family groups in development towns, Emunah (the national religious women's organization) volunteers are proof of our wholehearted caring about every Israeli. I am proud that I headed Emunah in Rehovot – and also founded Misdar Hadar, an organization committed to bringing IDF heroes Hadar Goldin and Oron Shaul back home. How do you see a woman's role – perhaps a religious Zionist woman's role – in the Knesset? Does she have a special role or is her role as the same as the men's? Silman: Men and women are equally capable of leadership, but a woman's point of view is often different on issues, especially those that affect children and the home, often a more knowledgeable view and also more empathetic and understanding of the real needs in those areas. For example, a municipality may want to build another playground but maybe mothers would rather the money spent on improving existing ones, like by putting up awnings and shade, making sure every playground is maximally safe and hygienically maintained. It is the same in schools where women are the majority of PTA members. But I want to see more women making decisions on higher levels than the PTA because they can bring that special outlook to other fields. Perhaps I can call it advancement of women the Jewish way, the Religious Zionist way, that is proud to preserve the centrality of the Jewish home as a career as well. Women have a unique contribution to make to advancing Israeli society in all fields, many are highly professional, and in general, women's career advancement is something I want to support. However, I want to stress the message that we women have to be conscious all the time of the need to carefully balance family and career, know what our priorities are. Religious Zionist MKs need to promote that value. I want to stress the message that all women, haredi women as well, have to be conscious all the time of the need to carefully balance family and career, employment, know what our priorities are. Religious Zionist women MKs need to promote that value. opportunities as those in the cities. That will be one of my goals - and I intend to accomplish it while emphasizing that the ideal is a woman who is proud to put her family first but also serves the public, a woman emphasizing family values who is careful about giving her loved ones the time they need. Balancing family and work needs are not an issue specifically of the religious Zionist sector, it affects all women, haredi women as well, - we took the emancipation of women from the Western world, but the balancing of family and work is our biggest challenge as women. I hope to find ways to make that easier, whether through help for mothers or through educating employers to take that into consideration, at all levels of careers and work. After all, the next generation's growth is important to every citizen, not just to women..
What are your thoughts about a Jewish democratic state? Religion and state? Silman: Jewish tradition and values are important for all Israelis and should be connected to their lives in a positive way. We have to educate about the holiness of Shabbat and the importance of a strong, healthy family life – these are Jewish values in a Jewish state.. We also have to be involved in other aspects of religion in the Jewish state – the synagogues, mikvaot, yeshivas, midrashot, the Chief Rabbinate as well as preserving the things that make Israel identifiable and unique as a Jewish state. This, too, is an integral part of women's lives. Religious Zionism knows how to bridge the gap between the halakhic world and the Israeli public with love for all our fellow Jews. We have much to offer and we must be sure we know how to present it. Silman: I believe and identify with the philosophy and ethos of Religious Zionism , but I want to add that here too, women have a unique contribution to make. Remember - it was the Israelite women in the desert who would not accept the spies' negative report about the country. It was the women who gave their jewelry to build the Tabernacle for G-d's Presence to live within each Jew in the holy space that represented it, first in the desert and then in the Beit Hamikdash. It is today's Jewish woman who shows true love of Eretz Yisrael when building her family in all parts of Eretz Yisrael, despite the hardships and pain she suffers, especially in Judea and Samaria where we are talking about real heroism – and who continues steadfastly to enhance the Torah of Israel, the People of Israel and the Land of Israel. Idit, I wish you much hatzlacha, thank you for your time and (since it was Friday) Shabbat Shalom.